Description:>Little Dino has lots of sharp teeth and starts using them to bite objects and other dinosaurs. He must learn to use them in the right way. 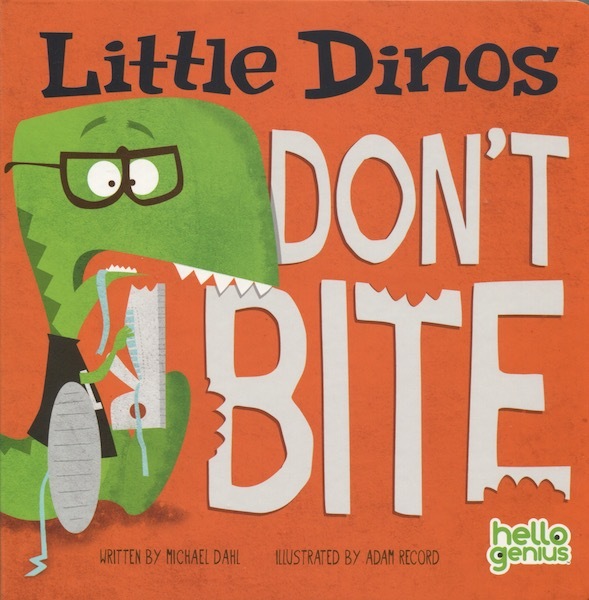 Part of the Hello Genius series of books, this sturdy board book reinforces positive behavior, teaches good manners, and visually shows that objects and people should not be bitten.